The story of Faith Community Church in Zillah, WA began officially in 1901, when Classis Iowa granted a petition by early Dutch settlers to organize a church to be known as “The First Reformed Church of the Sunnyside Valley.” Back in 1896, the family of Mr. and Mrs. Harkema arrived in the valley from Holland, MI and soon were joined by the families of J.W. Oord, J.B. Rammerman, R. Bajema, G.D. Wesselius, and P. Van Belle. For the next 5 years, the families met in homes, alternating between the Sunnyside and Zillah groups with Mr. Harkema conducting all the reading services. Whenever a minister or missionary would spend several weeks in the area, church services were held at the Liberty School. In 1905, the church name was changed to “The First Christian Reformed Church of Zillah.” The following year, services would be held in a newly constructed church on the northern bank of the Yakima River, two miles southeast of Zillah near the whistle stop of Boone. The land was purchased by the railroad a few years later and the church was moved a half mile north, where a new parsonage was added in 1910 and a janitor’s house in 1922. In 1910, Zillah’s first pastor, Mr. C. Vriesman, was installed and led the church until 1924. During his pastorate, 12 families living in Grangeville, ID withdrew their memberships to organize a new church in Grangeville. Starting in 1930, Pastor Nick De Vries began a 14 year pastorate during which services in Dutch would end and English-only sermons were instituted. In 1932, the Sunnyside families organized a new church, and the Zillah congregation was left with only 26 families. 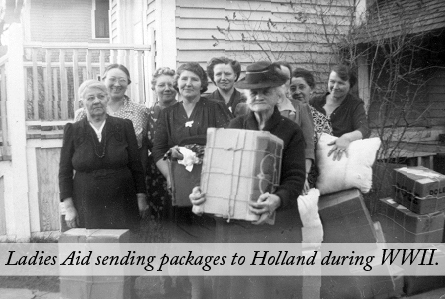 In the early 1940s, during WWII, women of the church made up “care” packages that were sent to Holland. 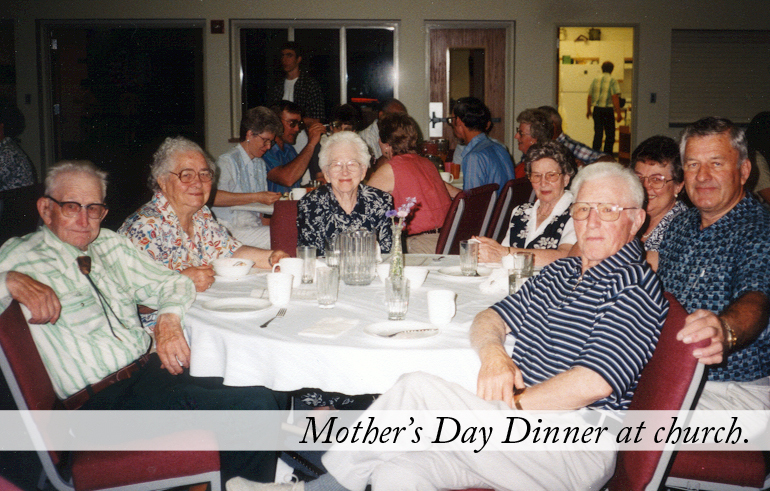 A tradition that began around the 1940’s was an annual church picnic held on Memorial Day. 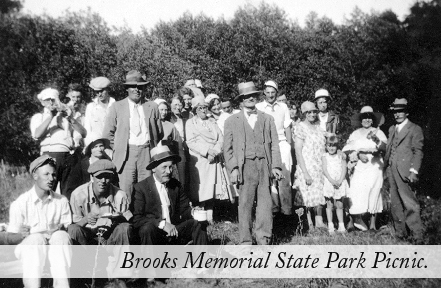 The picnic used to be held at Brooks Memorial State Park on Satus Pass and continues today at Loges’ Park in Zillah. 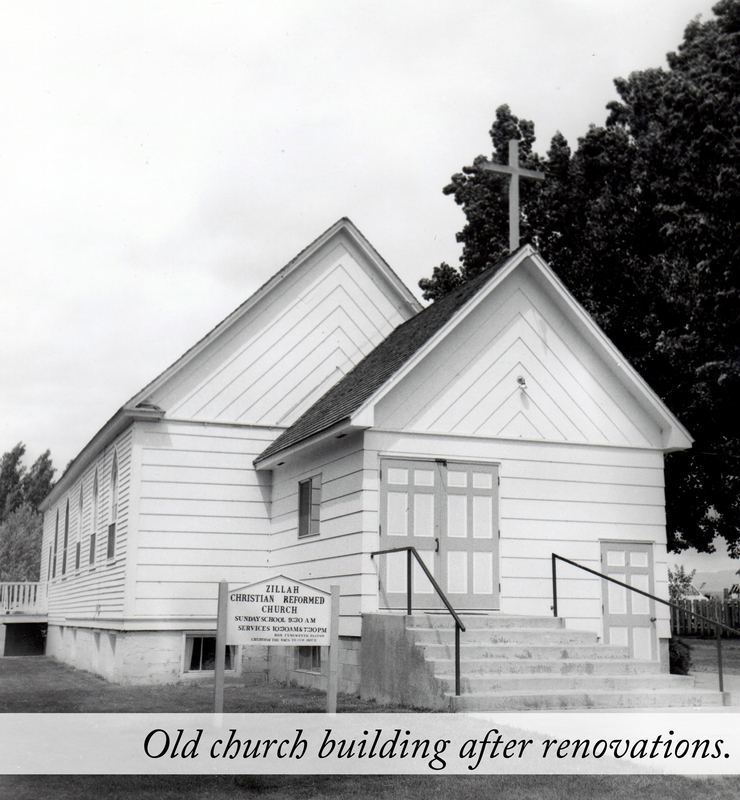 God continued to bless and increase the church’s membership in Zillah and in December of 1952, a Building Fund was established. Work began immediately on the basement, and by the end of 1956, renovations had doubled the church’s seating capacity. As well as growth and celebration, the church also suffered loss. On July 6, 1956, Pastor Paul De Koekkoek was installed. During his ministry, Mrs. Anna Wesselius, the last remaining charter member of the church, passed away. Upon her death, she had willed $1,000 to the church and a new electric organ was purchased with the gift. Tragically, on April 10, 1958, Mrs. De Koekkoek sufferred a fatal heart attack. Pastor De Koekkoek would leave in June, and shortly thereafter, retire from activity ministry. 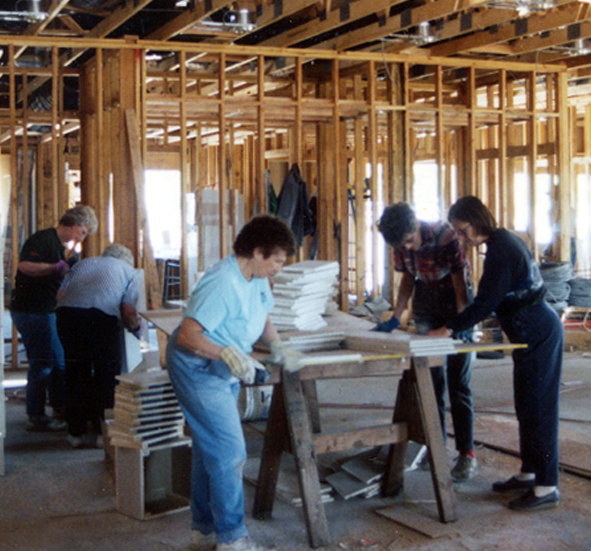 In the following years, the church continued to undergo physical changes. In 1965, the main entrance to the church was changed, and the old steeple was torn down. The following year a new parsonage was built; the old one was sold and moved just east of the janitor’s house. In 1967, afternoon services were replaced with evening services. At this time, the church, along with the Home Mission Committee, began working in the Yakima area. Five families would leave the Zillah church to form the beginnings of the Yakima Mission, and, in 1969, the Yakima Christian Reformed Church was organized. 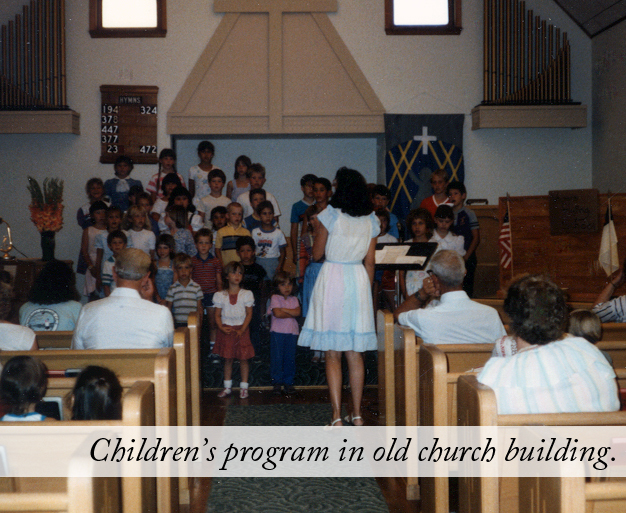 On November 7-9, 1976, Zillah Christian Reformed Church celebrated its 75th anniversary. 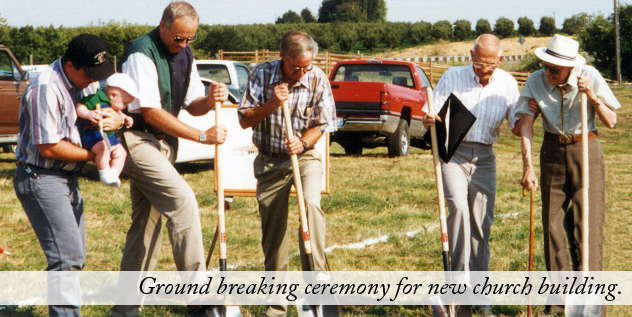 From humble beginnings along the Yakima River, God had continued to bless the Zillah Christian Reformed Church. His kingdom had expanded over the years as new daughter churches from the Zillah congregation were established in Sunnyside and Yakima. For the “Diamond Jubilee,” several former pastors returned, and even Pastor De Koekkoek was present to speak a few words about God’s faithfulness. In 1979, the Zillah congregation - many themselves the descendants of Dutch immigrants - worked with the Christian Reformed World Relief Organization to sponsor their first refugee family from Laos: Kham and Bounny Phimmavong. A year later, the family of Ing and Bounetiane Lakkham and their 6 children arrived in Zillah and moved in next door to the church in the former janitor’s house. The church was responsible for providing the families with housing, food, clothing, and support in finding work. The Zillah congregation would never forget the church service on Sunday morning of May 18, 1980, that was interrupted by a knock at the side door with the news of the eruption of Mt. St. Helens. By noon, it was almost total darkness. The power of God’s creation was awesome and terrifying. The last service in the old church building was held on New Year’s Eve of 1996. On January 11, 1997 everything in the old building was removed. 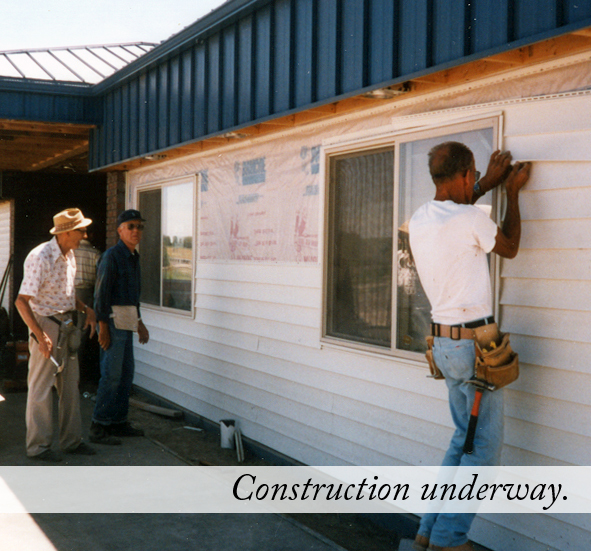 Services were held temporarily in the Seventh Day Adventist Church in Zillah during construction and led by interim pastors following Pastor John’s retirement. 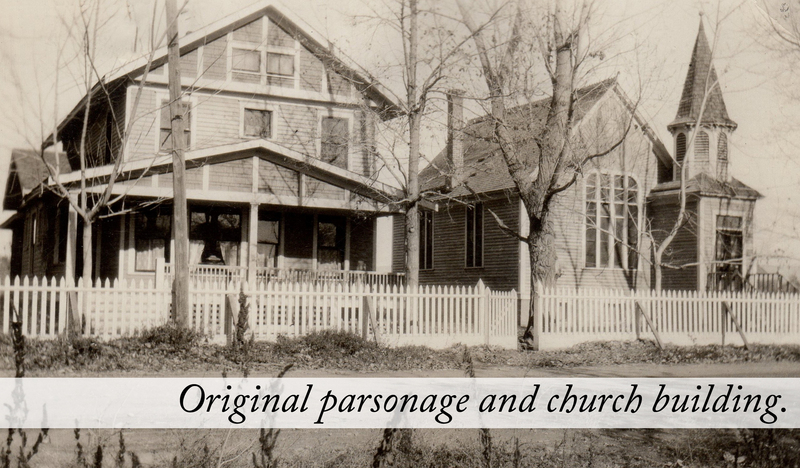 In March, a new parsonage was purchased in Zillah; the old parsonage, janitor’s house, and church were sold. On September 21, 1997, Pastor Russell Van Antwerpen was installed, and on November 2, 1997, the dedication service for the new home of Faith Community Church was held; fittingly, Pastor John Hofman, Jr. returned to give the dedicatory address. In August of 2003, Pastor Van Antwerpen would depart to serve as a hospital chaplain in Texas. Mark Hofland, the son of former pastor Gary Hofland and born during his father’s pastorate in Zillah, served as interim pastor for 9 months. On October 10, 2004, Pastor Joseph Kamphuis was installed as the church’s next pastor. In 2005, a new parsonage was completed west of the church, and Pastor Kamphuis and his family moved into the new home by Thanksgiving of that year. In 2011, Pastor Kamphuis would accept a call to a church in New Mexico. For the following two years, Pastor Rodger Buining and Pastor Sidney DeWaal served the church as interim pastors. On July 7, 2013, Pastor Dave Loew was installed as Faith Community Church’s 18th pastor. As we approach our 115th year in 2016, the family of Faith Community Church invites you to become a part of God’s history in Zillah. “We are a faith community living as Christ’s representatives in diverse communities across the Yakima Valley.” Join us as we seek “to know God and make Him known”.